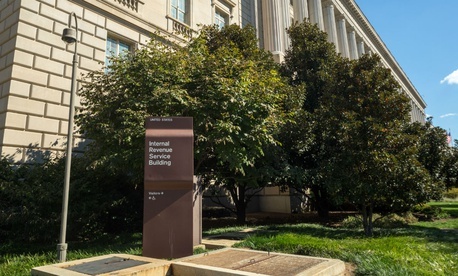 Most who followed the loud controversy over alleged political targeting by the Internal Revenue Service beginning in 2013 know that it was set in motion by an IRS official’s statements at a conference—this one by the American Bar Association. That’s one reason many reporters on the tax beat consider it essential that they not be denied access to private conferences at which taxpayer-paid agency officials are speaking. The editor specifically mentioned an organization with which he has a history of conflict, New York University’s National Center on Philanthropy and the Law. Streckfus several years ago was disinvited from invitation-only conferences by the group after he reported remarks from none other than Lois Lerner, the now-retired IRS official at the center of the years-long dustup over the agency’s alleged political bias in handling applications for tax-exempt status from conservative nonprofits. Streckfus said he won’t be satisfied until the commissioner puts out a formal statement making clear the obligations of program sponsors to permit free reporting. The agency’s current approach “is wishy-washy,” he told Government Executive, and allows an escape valve. He hasn’t personally returned to the NYU conference, he said, because he won’t promise to obey the rules.